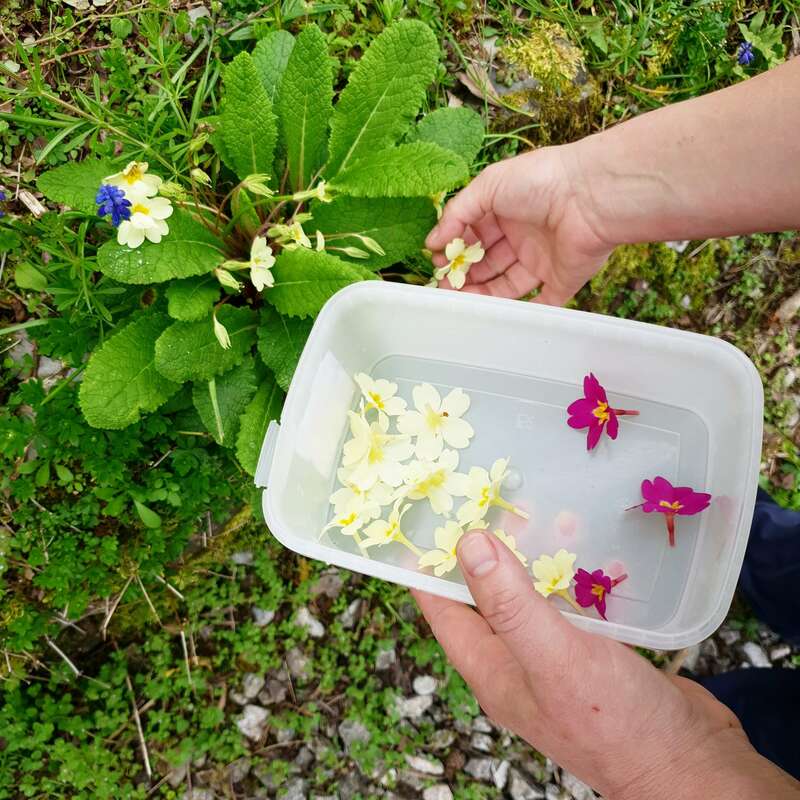 Our head gardener Penny grows a variety of edible flowers around the field kitchen - pastry chef Rita is often picking them for her wonderful puddings! I always remember walking home from the school bus up the lane in early summer and picking honeysuckle flowers, sucking out the nectar and eating the tubular flower! They tasted so good and I felt quite connected to nature with the flower strewn hedgerows skirting my journey. Eating flowers is quite fashionable at the moment but it’s nothing new. We’ve been doing it for centuries. 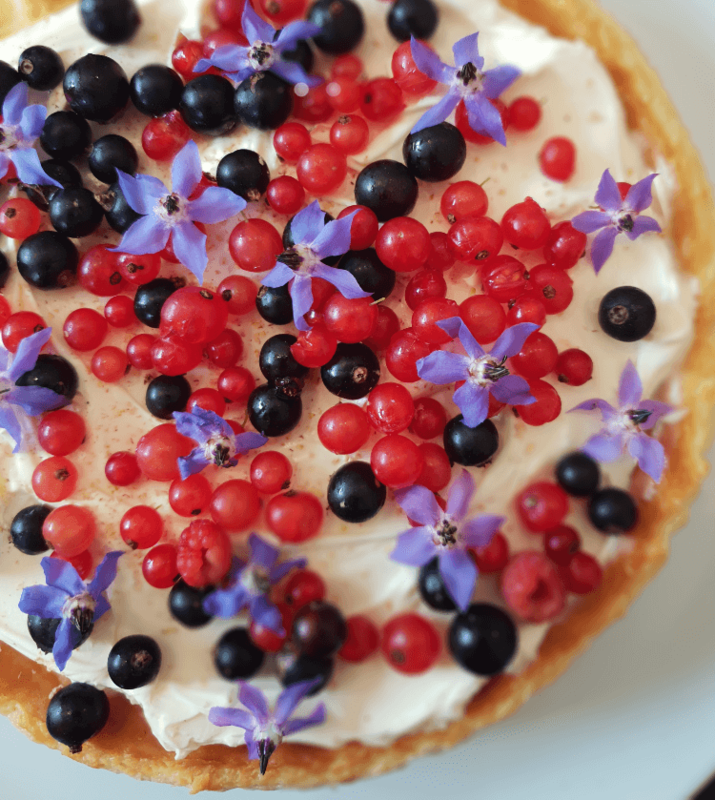 Chefs and cooks alike use flowers to decorate salads, puddings and cakes and apart from being delightful to look at they are often very tasty adding flavour to a dish. They are also packed with vitamins and minerals. It is important to know what you are eating though as many flowers are very poisonous. Always check before plucking a flower and gobbling it up! Never be tempted to eat a flower from a vase of flowers that have been grown commercially as they are more often than not grown using pesticides and nasty chemicals that won’t do you much good at all. 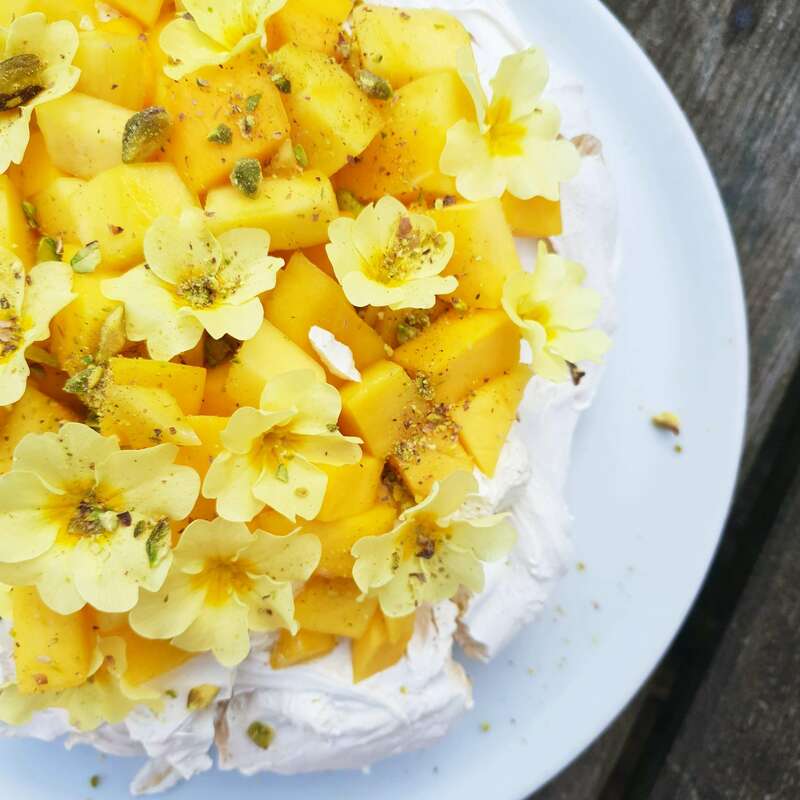 These days you might find edible flowers for sale in some farm shops and good supermarkets and these should be safe to eat. Better still grow some yourself. I grow lots of flowers in the garden for the Field Kitchen for vases on the tables, flowers to dry to hang on the walls and quite a few edible flowers too. It’s also highly beneficial to grow flowers in your veg patch as they attract bees, butterflies and insects into the garden helping with pollination and lots of these insects are natural predators for the insects you don’t want, like aphids for example. Here’s a list of edible flowers that are safe to eat and easy to grow. Nasturtiums with their bright orange and yellow flowers are probably one of my favourites. They look great on a salad and are very tasty and have a sweet, spicy and peppery flavour. They are full of vitamin C, iron and flavonoids. Cornflowers are great too with their delicate vivid blue flowers. They also come in burgundy, pinks and white. They have a slightly sweet to spicy, clove like flavour and are great as a garnish to salads, puddings and cakes. Calcium, mineral salt and folate and vitamin C are an added bonus. Violas or pansies are so attractive and come in all colours. They are sweet and tart and full of vitamin C, iron, carotenoids and flavonoids. Borage flowers, blue and white have a mild cucumber flavour and are full of vitamin C and A, iron, B complex and flavonoids. Calendulas come in orange and yellows and are spicy, peppery and tangy in flavour and are full of carotenoids, flavonoids and vitamin C.
I received a text from my daughter this morning who is a performance artist asking me which large flowers are edible as she wants to make an art film piece where she devours some large blooms! I’m thinking Lilac flowers and large roses but need to do more research! Heavens above! I love her creativity!